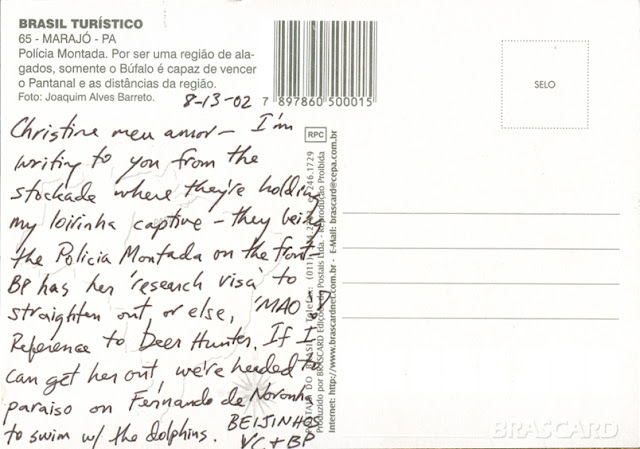 A postcard that Spencer found in the UCSB library, in a copy of Jane Jacobs’s The Death and Life of Great American Cities. 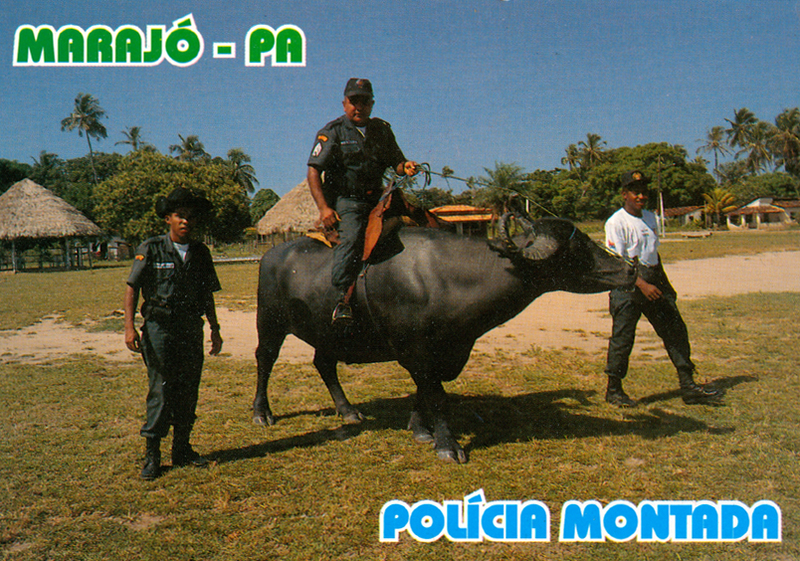 I'm guessing it's from a Portuguese-speaking country somewhere south, where police don't actually ride anything that looks like gnus but will fake it for the purposes of self-mocking postcards that white people buy. Curiously, whoever filled this postcard out doesn't seem to have ever attached a stamp, which raises questions about how it ended up in Santa Barbara. 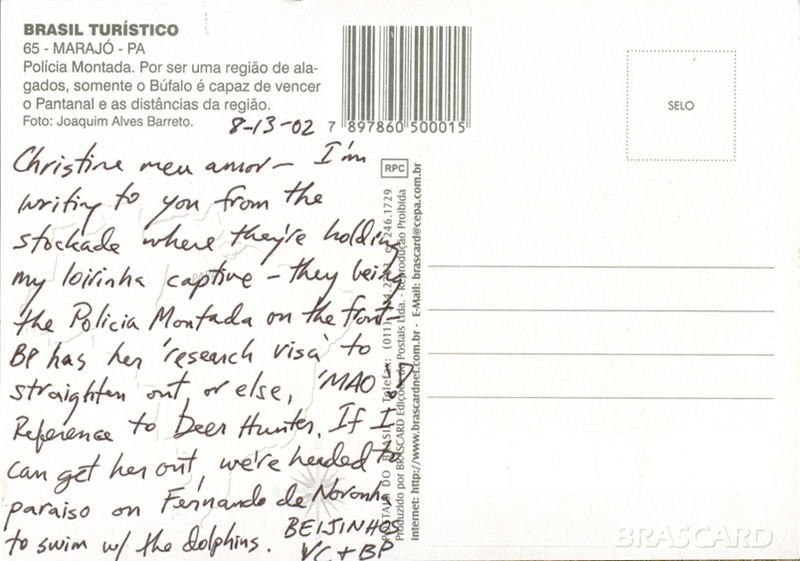 Either way, the date would suggest that no one may have seen this thing since 2002.